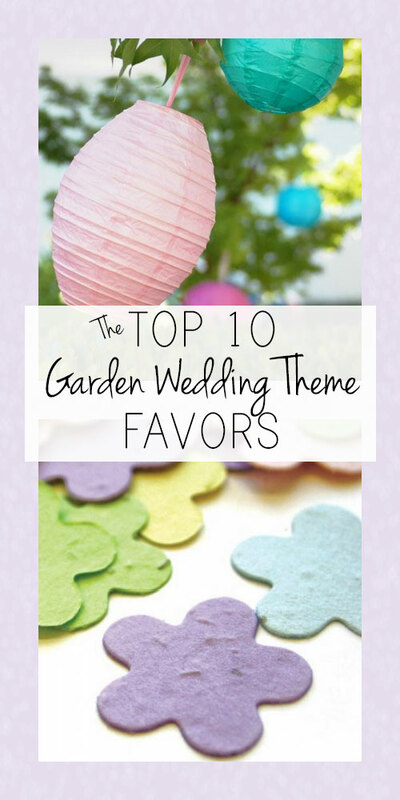 These Top 10 Garden Wedding Theme favors and decorations will add the perfect touch to your garden theme! A garden wedding theme has the perfect combination of characteristics for a wedding. Who doesn't love beautiful flowers, greenery and romance all wrapped up to create a lovely wedding? There are so many possibilities with this theme! These seem to be some of the most popular choices. 1. 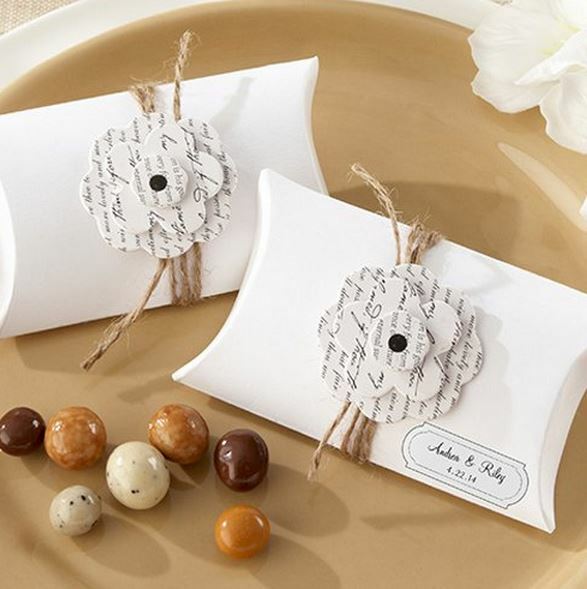 Personalized Love Letter Pillow Favor Boxes - We love these dainty, earthy pillow boxes. They are perfect for little treats for your guests. Your guests will love unwrapping a yummy surprise. They can also reuse them for treats or knick knacks at a later time. 2. 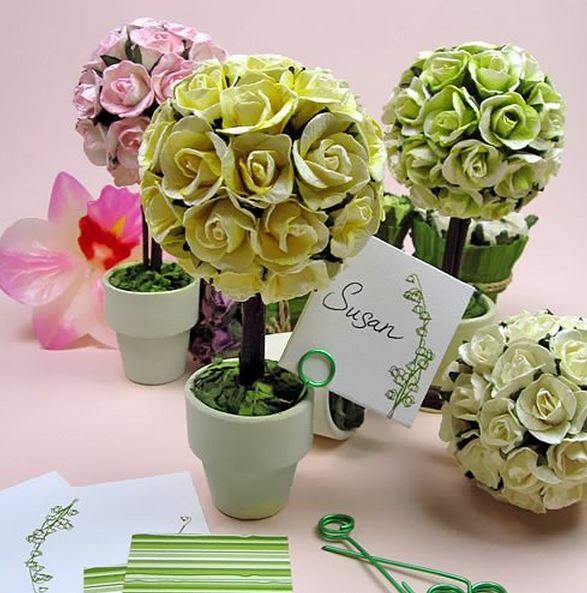 Mini Rose Topiary - These topiaries can be used in several ways. Use them as small center pieces or refreshment table decorations. Depending on the number of guests and your budget, they can also be used as placecard holders. Hand them out as wedding party gifts to those guests who you want to give a special thank you to. They can also be used for brunches, bridal showers, and so much more. 3. Mini White Hanging Lantern Tea Light Holders - These versatile tea light holders can add a perfect finishing touch to each of the tables used at your wedding dinner or reception. They can also hang in various areas around the venue to add soft lighting and a beautiful garden look to your wedding. 4. 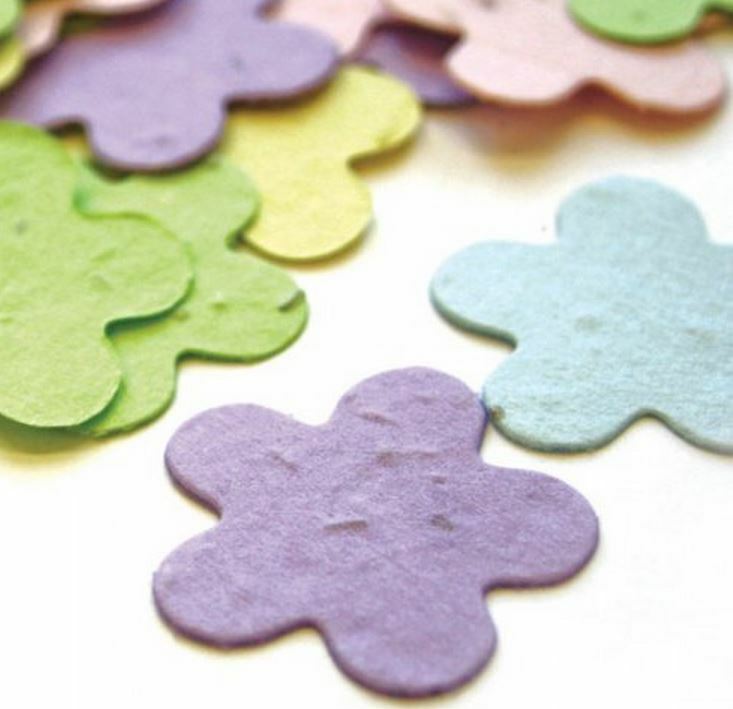 Plantable Flower Confetti - Sprinkle these cute flowers on table tops for a perfect garden touch or hand them to guests to throw in the air as you leave your reception party. They can also be used to fill mini flower pots or favor boxes. Guests can take them home to plant in their gardens as a reminder of your special day! 5. Silk Cherry Blossom Petal Toss - These silk petals are another option similar to the flower confetti. 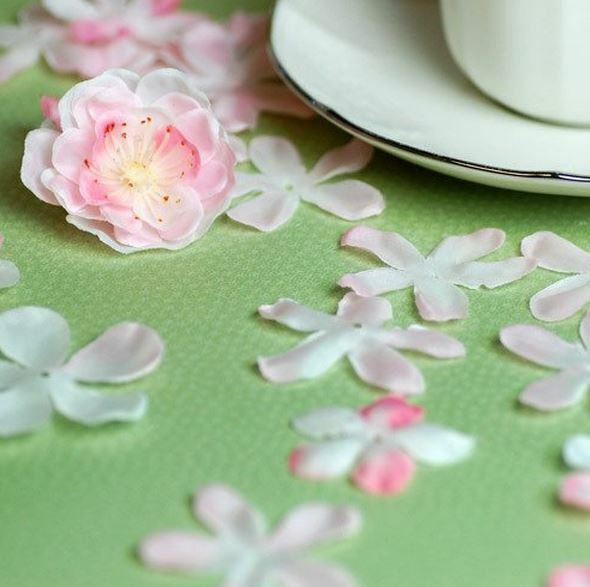 These dainty flower petals can quickly enhance the look of your garden theme. Sprinkle them around the center pieces on the guest tables and any other tables at your reception. Another unique idea is to spread them on the aisle you will walk down to say your vows, guests will love it! 6. 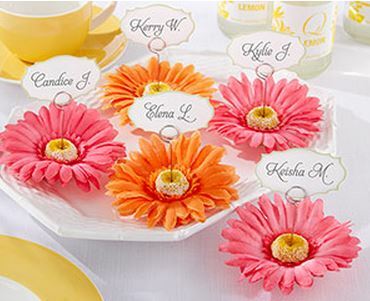 Gerbera Daisy Place Card and Photo Holder - Add a pop of color to all of your tables with these placecard holders. Or use them as photo holders for decorations. Guests can take them home to use as photo holders in their kitchens or on their shelves. 7. 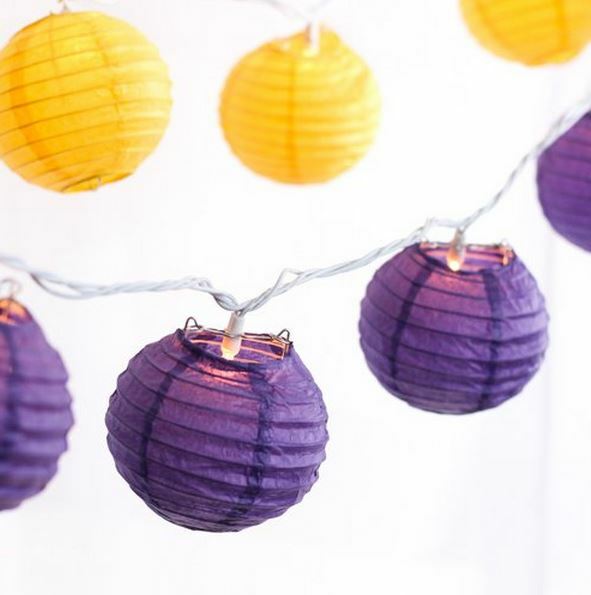 Mini Round Lantern String Lights -Whether you are doing an indoor or outdoor garden wedding, these lantern string lights will add the perfect touch in dim lighting or as the sun sets. The best part is you can reuse them for your own garden or sitting porch or balcony. 8. 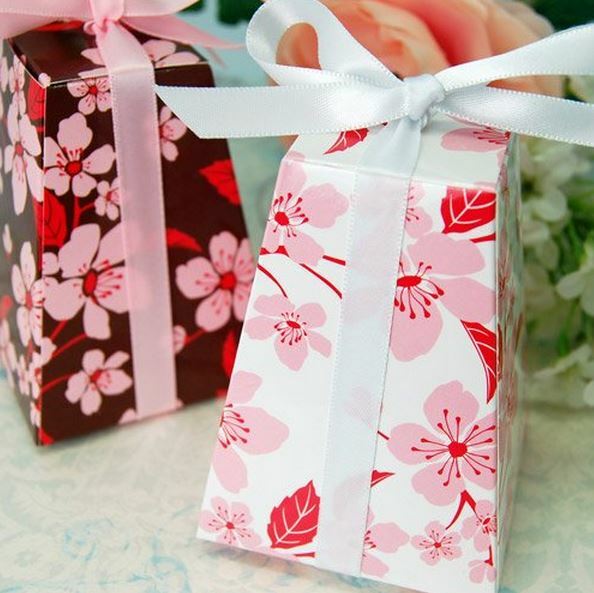 Patterned Pedestal Favor Box - With 5 colors to choose from, these cute favor boxes will hold yummy candy or favors for your guests to enjoy while at the same time providing a cute flowery garden look to your wedding. Stack them all together on a table for your guests to take as they leave or spread them around each guest table to enhance the garden theme look. 9. 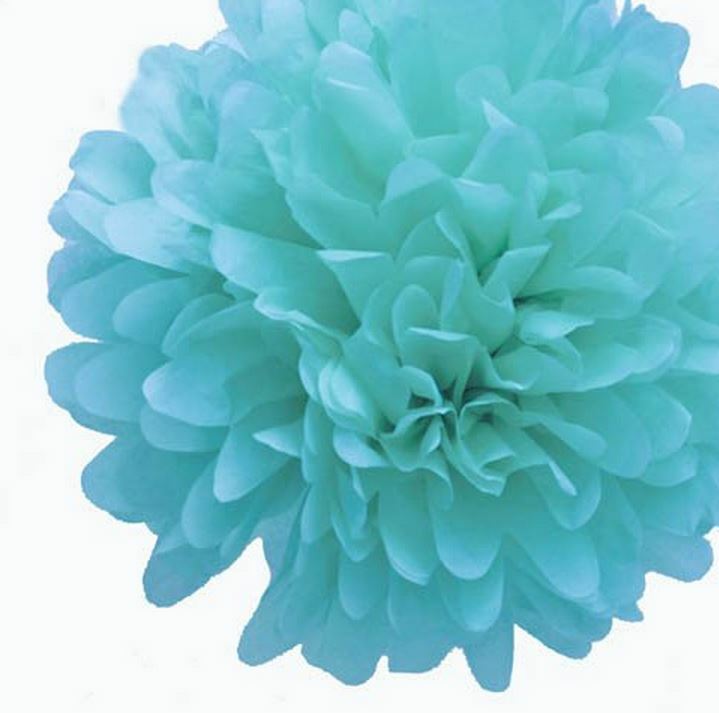 Tissue Paper Pom Poms - Pom poms are popular right now and rightfully so! They will add the perfect flower look for your garden theme. There are several colors to choose from to match any wedding colors. These come in sets of eight, which allows you to add several decorations without spending too much of your budget. 10. 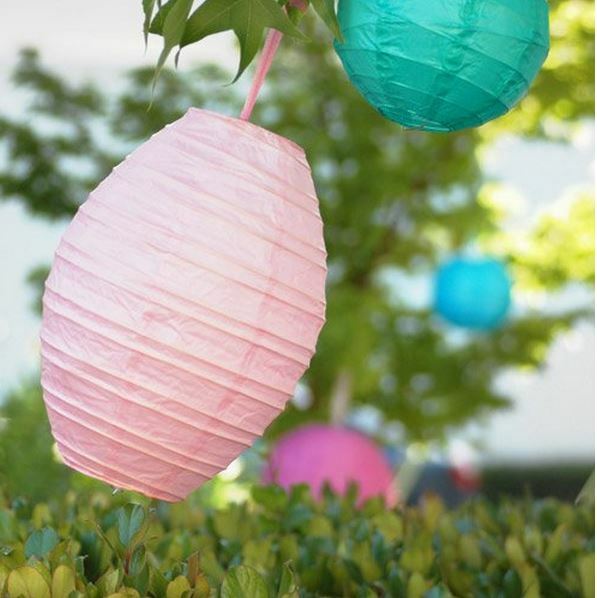 Oval Paper Lantern - These lanterns are perfect for any garden look. 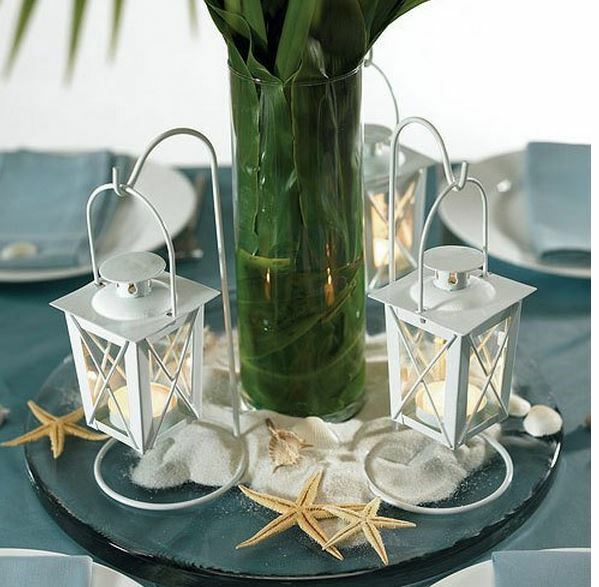 Use them as is or add lights to add to the romantic garden wedding vibe. They offer an affordable way to add some color to the reception, giving guests something pleasing to look at. There are several colors to choose from!